Cloy, a 28 year old business owner, started throwing parties in 2010 inside a 10k sq. ft. warehouse that soon became known as Green Villain. Until it’s demise in 2013, Cloy curated and produced quarterly events which featured sprawling graffiti productions coupled with live music and DJs. He started DJing in 2010 and has since started a vinyl imprint and hosts a monthly radio show on Sub.Fm. 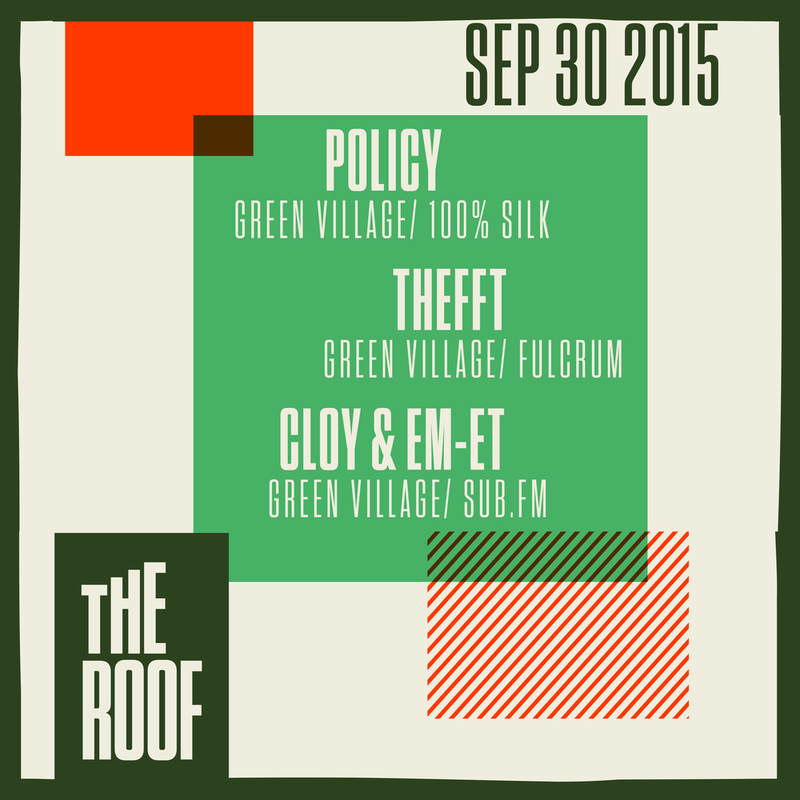 Green Village, the sister company, began in 2013 with a 14 track digital compilation followed by 3 vinyl releases featuring the likes of Starkey, Rabit, Doctor Jeep, Thefft, Policy, Dakini9, DJ Spider, Fox and more. In 2015 the label was issued a residency on Club Output’s rooftop and has a backlog of material that will satisfy quarterly vinyl releases through 2018. Juno will be handling global distribution. In 2015 from March through November he put together monthly events in Jersey City which featured all the label's artists and touched upon all the sounds that influence him as a DJ. Spinning predominantly vinyl, unless to preview forthcoming label material, his sets are rooted in techno, house and garage/2step.